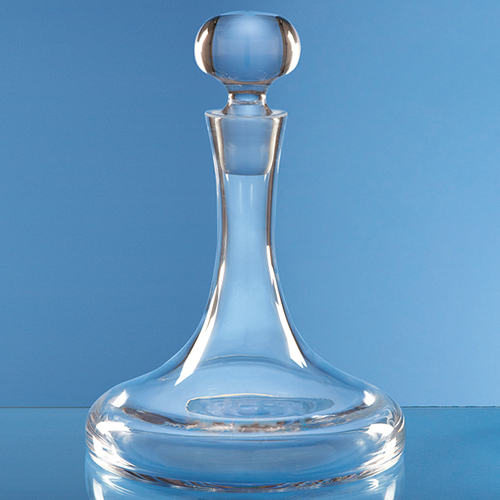 This 0.75ltr handmade plain ships decanter has a dramatic curved design with a long narrow neck. The spherical stopper compliments the modern shape of this high quality, handcrafted decanter. There is a large engraving area on the upper area of the decanter which can be personalised with any crest, logo or wording. The decanter is perfect for corporate events or as a personal gift and is packed in an individual card board box.